Learn a new skill and wear it home proudly. 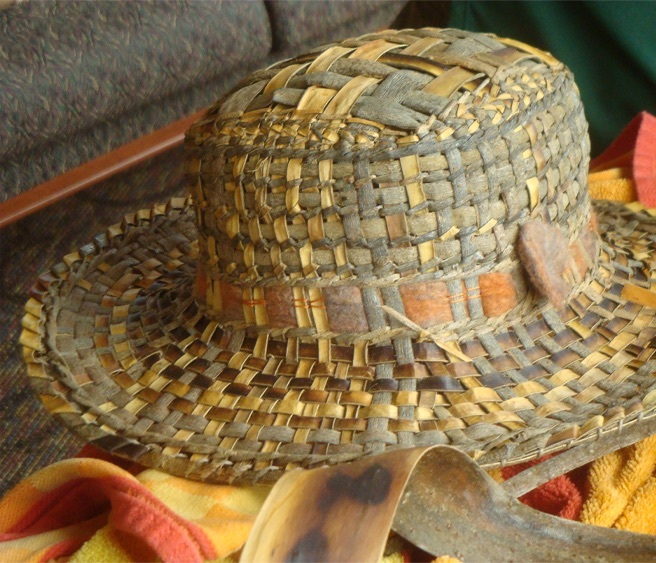 By applying basket making basics to a molded form, each student will custom design a wearable hat. The course includes discussion of Judy's sustainable willow bark, a chance to learn process and the promise that you will fall in love with this amazing material suitable to multiple basket making projects. Go home with a new hat and a wonderful new connection to nature. Judy Zugish is a basketry artist and teacher whose work is experimental and sculpted from nature. She has explored plants in her fiber arts garden for over 30 years with keen curiosity. In 1991 she dedicated her energies to starting a field school on her nursery property, hosting national and international instructors introducing them to the Northwest. A gypsy by nature, she has been roaming widely since 1998, leading journeys in basket making to Japan, England, Denmark, France and Germany. Her teaching style is innovative and dedicated to the pleasures of sustainable nature.